Bajaj Auto has constantly been updating its domestic range of motorcycles to increase its market share. 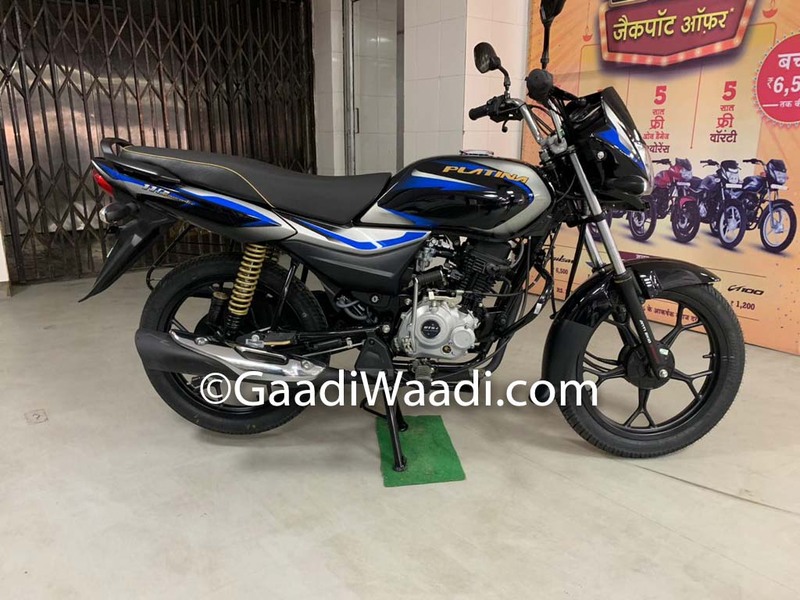 The Pulsar 150 variants have received changes in the form of new belly pan, colour schemes, split grab rail and graphics while the 220F has also been part of the cosmetic revisions. The homegrown manufacturer is also focussing on expanding its presence in the entry-level segment. As part of the strategy, it dropped the prices of CT100 and consequently the monthly sales volume increased by a big margin. 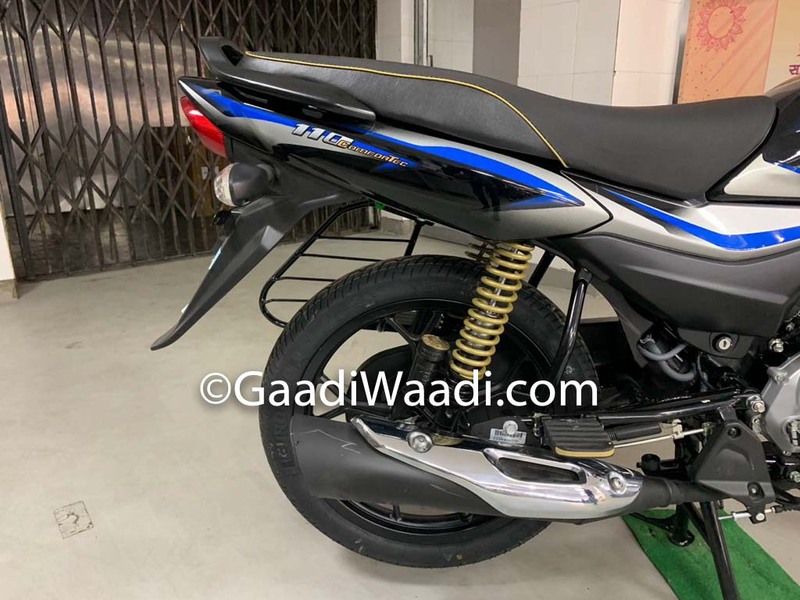 Besides the CT100, Bajaj has Platina as its other top-selling affordable commuter in India, and as we exclusively revealed yesterday, there has been a new 110 cc version added to the lineup to further boost sales number. 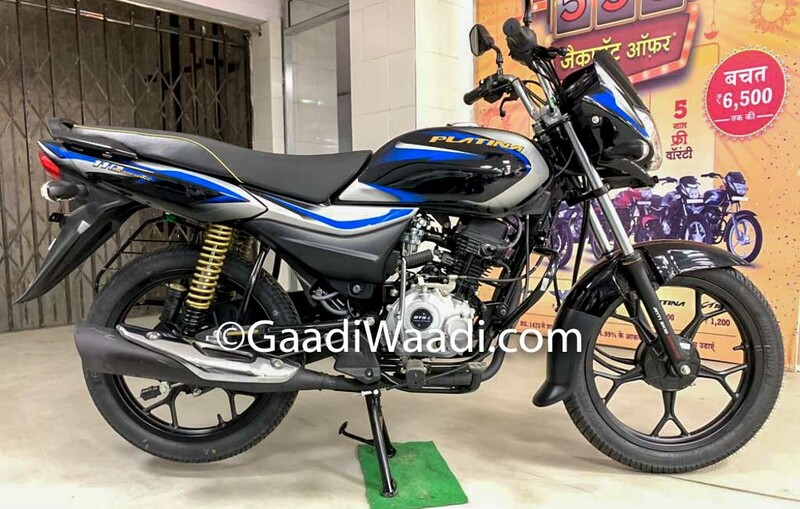 Both CT100 and Platina have been enjoying great deal of success in recent months in terms of volume and the momentum will likely continue with the arrival of the desirable 110 cc variant. 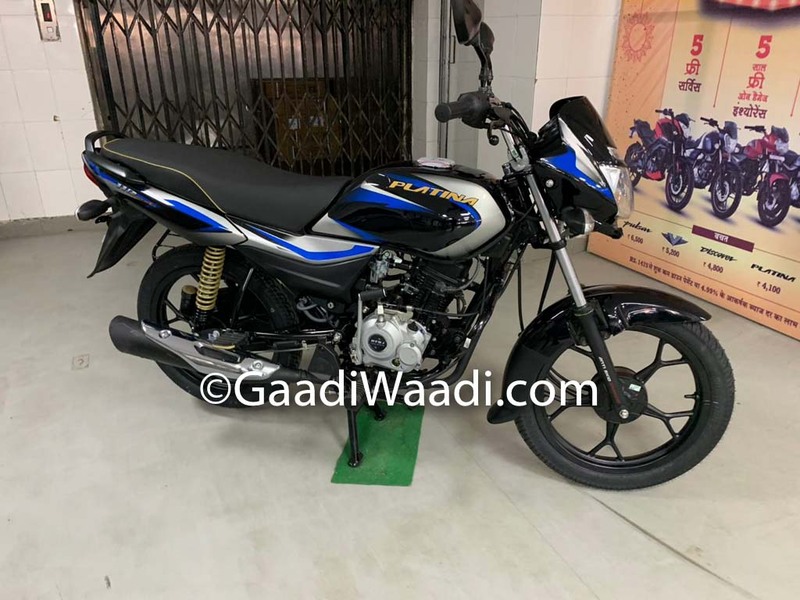 Bajaj has followed its regular strategy by packing the new model with features and pricing it in an aggressive manner. It has started reaching dealerships across the country and costs Rs. 49,300 (ex-showroom). 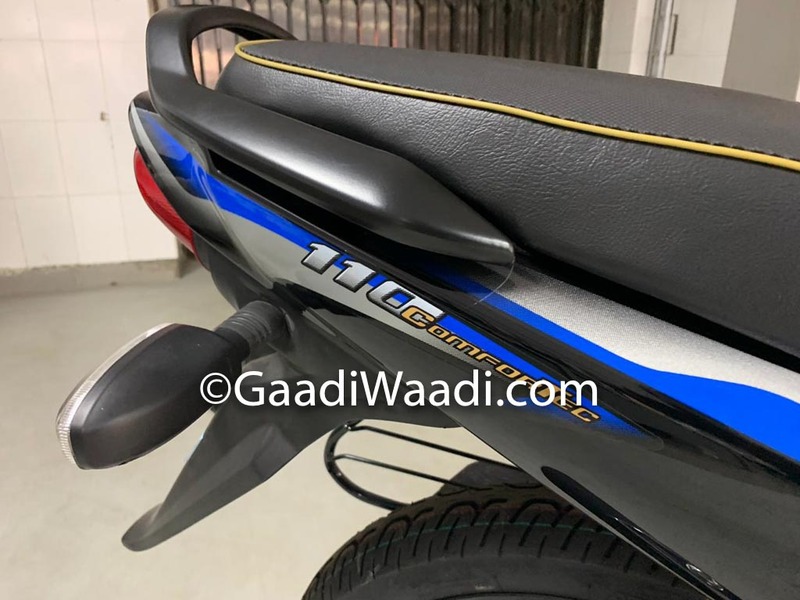 While the regular Platina is powered by a 102 cc engine making 7.8 bhp, the Platina 110 uses the 115.5 cc single-cylinder DTS-i air-cooled unit that saw the light in the 2018 Discover 110. 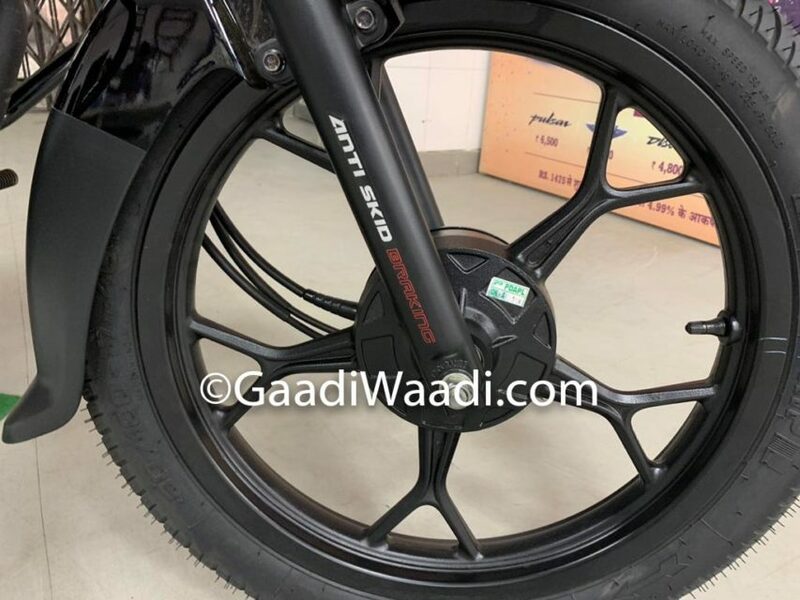 The BSIV engine is good enough to develop 8.5 bhp at 7,000 rpm and 9.8 Nm of peak torque at 5,000 rpm, and is connected to a four-speed transmission. The new motorcycle generates 0.7 bhp and 1.46 Nm more than the regular 100 cc version. 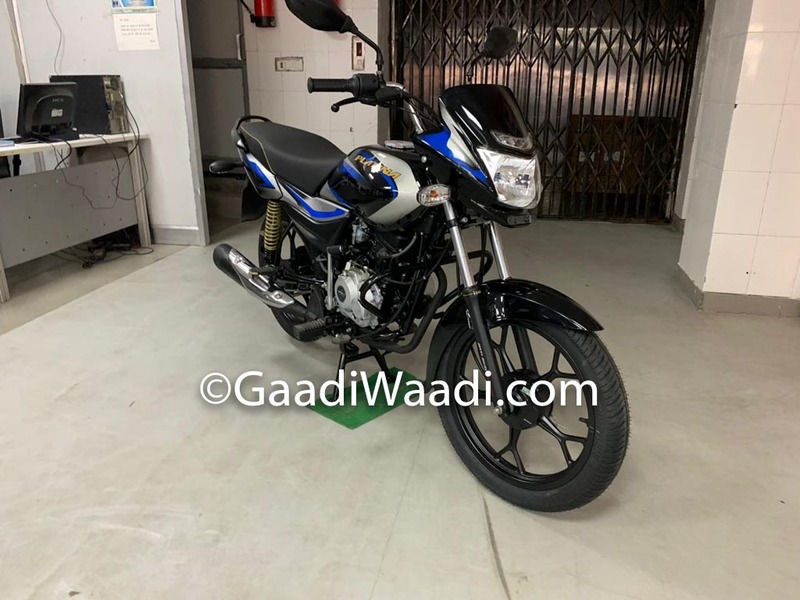 The Bajaj Platina 110 CBS measures 2,006 mm long, 704 mm width and stands 1,076 mm tall with wheelbase of 1,255 mm and 200 mm ground clearance. 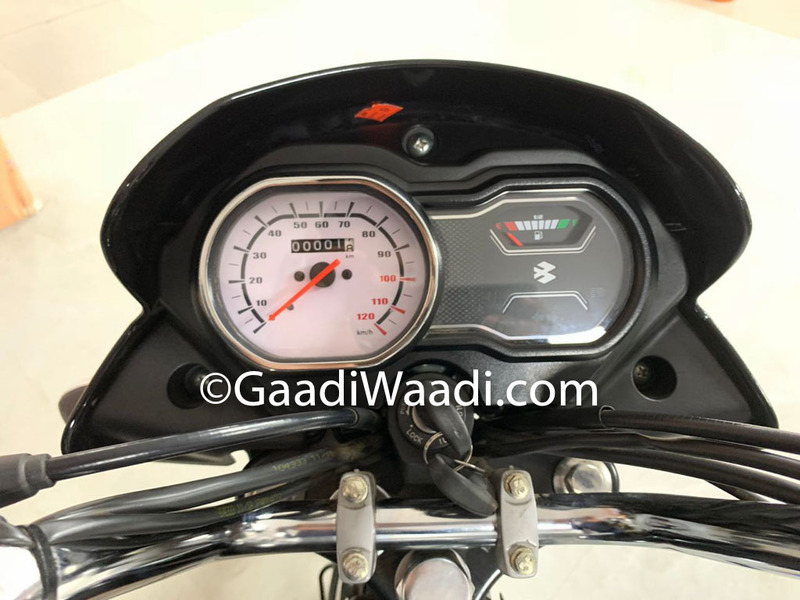 In comparison to the 100 cc version, the new model is 3 mm longer, 7 mm taller and the fuel tank holds 0.5-litre lesser volume at 11 litres while other dimensions remain identical. 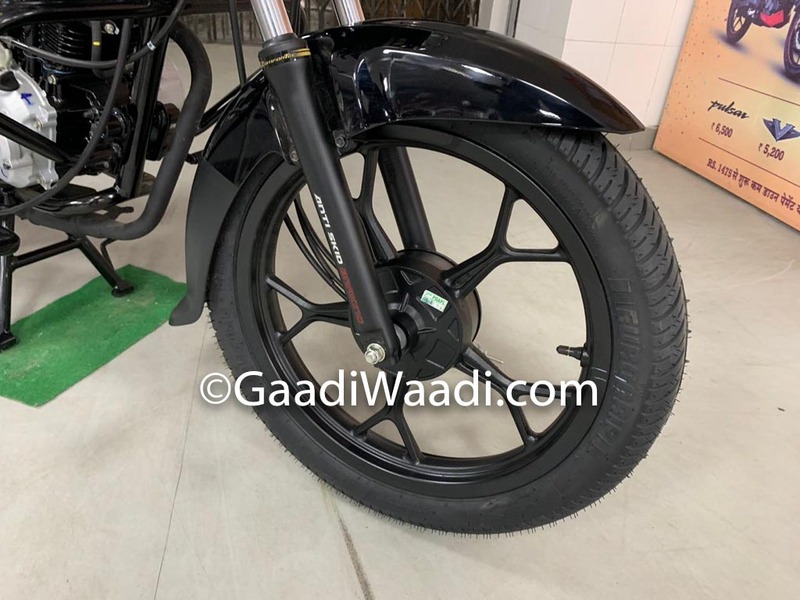 The Bajaj Platina 110 comes equipped with drum front brake as standard and front disc as optional with rear drum brake. 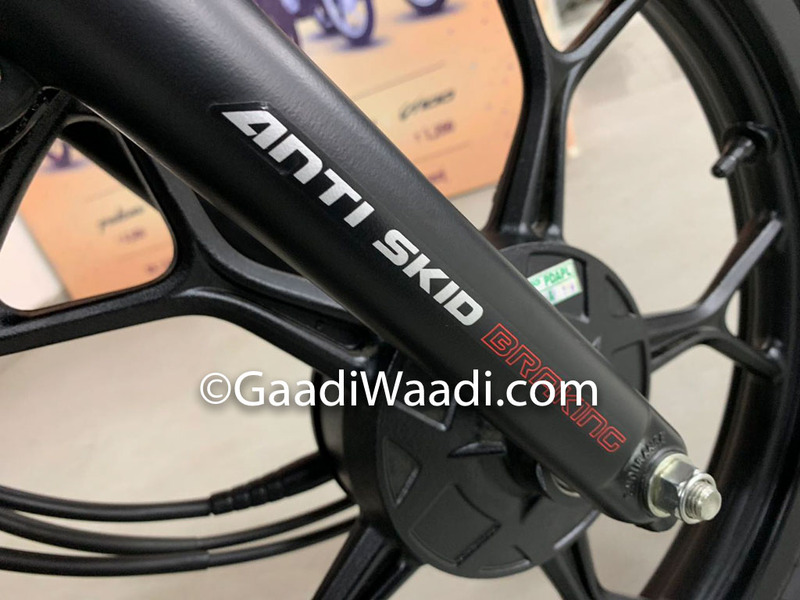 It rides on 80/100-17 tubeless front and 80/100-17 tubeless rear tyres. The new spider alloy wheels are carried over from Discover while a number of new features have also been included. 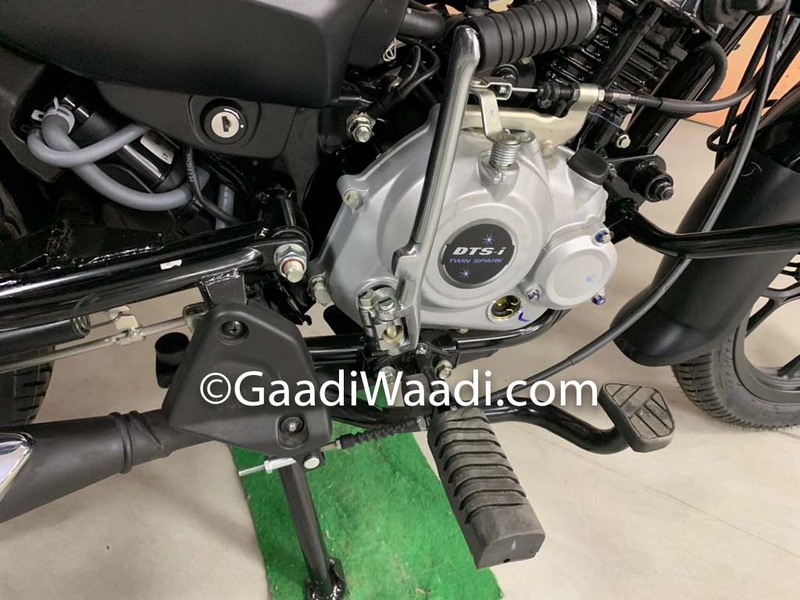 Chief among which is the presence of CBS (Combi Braking System) that Bajaj calls as “Anti Skid brakes” to comply with upcoming safety regulations. 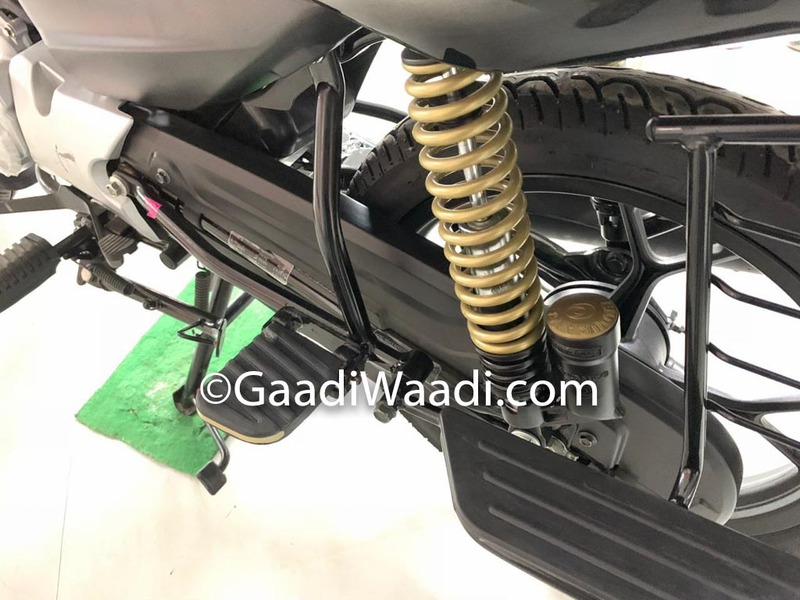 Other inclusions are new inverted Nitrox gas-filled shocks at the rear and telescopic fork at front alongside new attractive body graphics. It also features ComforTec technology that is claimed to reduce 20 percent jerks while riding. 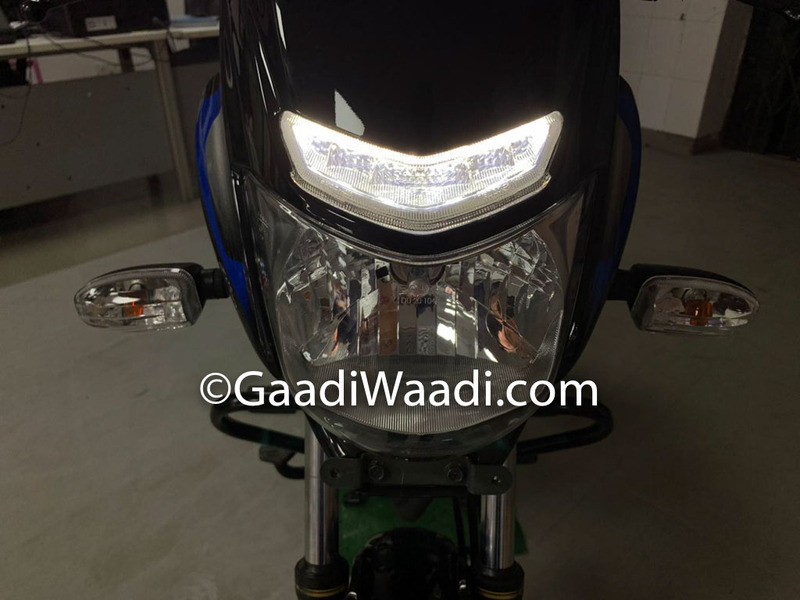 It retains the DRL and instrument console from its 100 cc sibling and is offered in Black Blue and Black Silver colour options. All these additions come at the expense of just under Rs. 2,000 when compared to the 100 cc variant.